Inspired by letters and journals, this docu-drama explores the First World War through the perspective of everyday witnesses. There are three episodes of Great War Diaries. Please watch at least one episode to prepare for discussion. Can we learn anything about the past from historical fiction? Should historians write fiction? Do novelists have an obligation to accurately represent the past? 27 November, 2014— Can an Object Tell a Story? How do you use objects in a museum setting to interest those with little or no background knowledge of a topic? How are objects used in a public history setting? 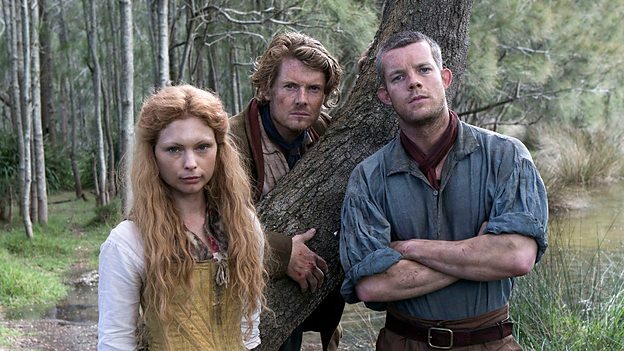 Banished is a historical drama which depicts the founding of the penal colony in New South Wales in 1788. What does this television programme tell us about the early history of transportation? Please watch the first episode (available on BBC iPlayer or Box of Broadcasts) to prepare for discussion. We will be considering Banished alongside primary source documents from the early convict period. Before the session, you may like to explore the 'Tales from the First Fleet' resources on the website of the State Library of New South Wales.